In 1994, when we harvested our first SGN above 200°Oechslés (roughly 30° potential), I decided to call these wines ‘Trie Speciale’, because they have this extra richness and show luscious honeyed waxy characters, often very low finished alcohol level and a huge residual sweetness, well above 300g/l. 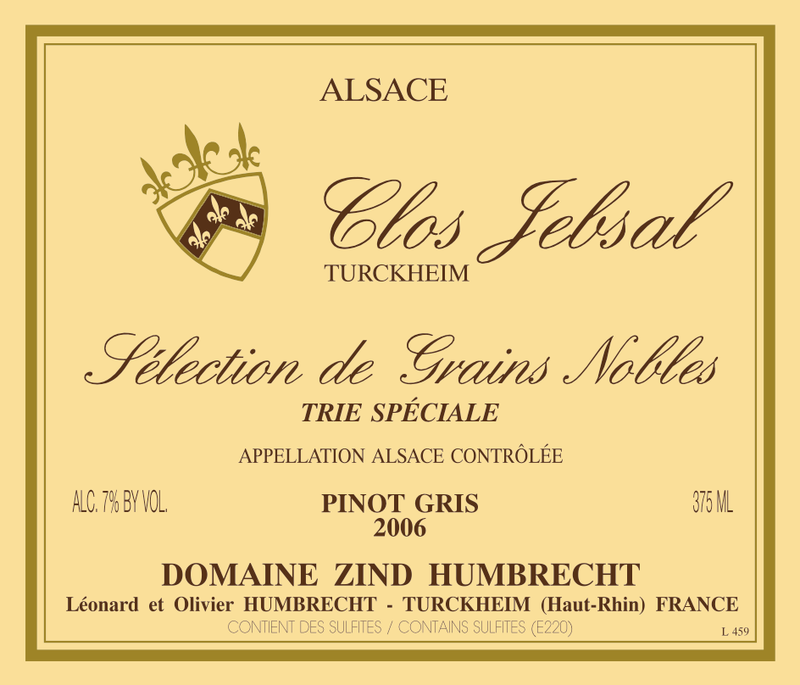 The second wine made like this was the 2002, then the PG Clos Windsbuhl 2005. This 2006 reflects the huge noble rot development and of course reached very high level of ripeness, combined to an even higher acidity. 1/2008: it is too early too describe this wine. The fermentation will certainly last another year or so and it will not be bottled before 2009 or 2010. Already now the Jebsal character show intensely on the nose and palate. The residual sweetness must be huge, but already the bracing acidity takes care of it. This is still a work in progress. More news about it next year!